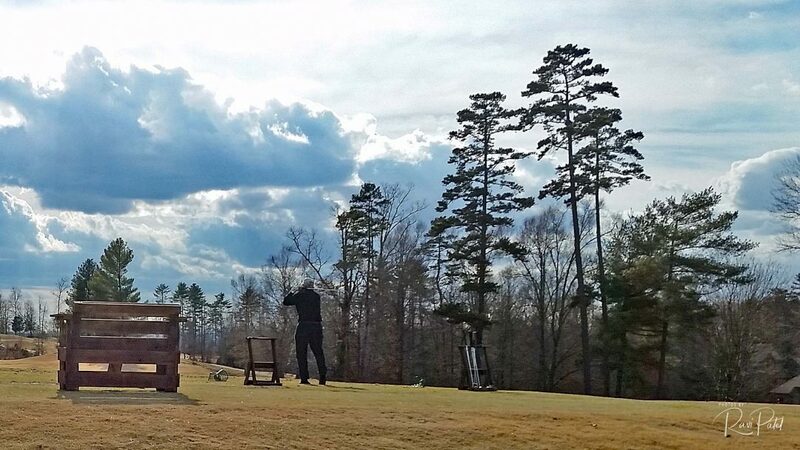 A bench to view a golfer practicing his skills over dark clouds at the driving range at Ole Still Golf Course, Hickory, North Carolina. 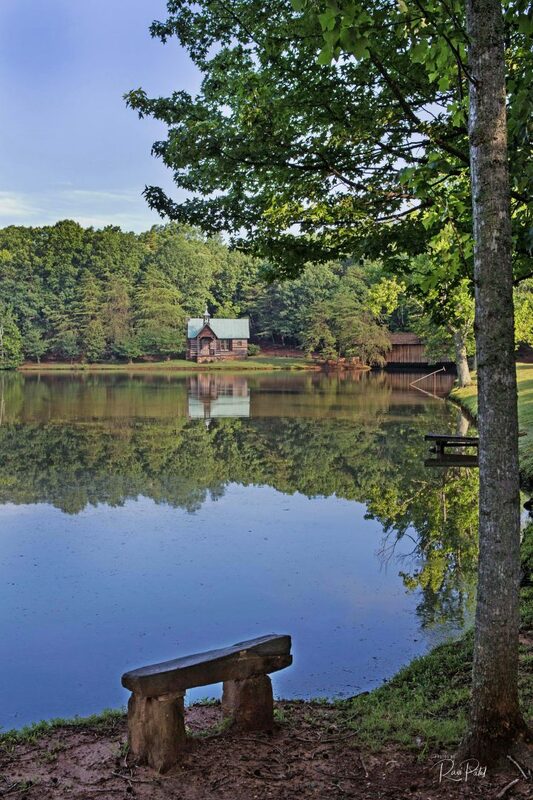 One of the most memorable vistas at Hart Square (North Carolina) – is the Chapel of Peace sited on a gentle hill beneath the treeline across the upper lake. 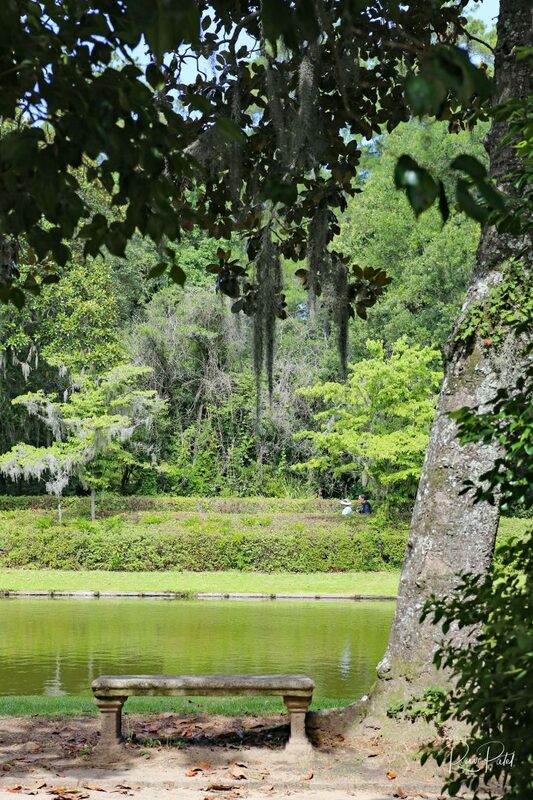 A bench view of the serenity of the chapel reflections in the lake. Sedona is an Arizona desert town near Flagstaff that’s surrounded by red-rock buttes, steep canyon walls and pine forests. 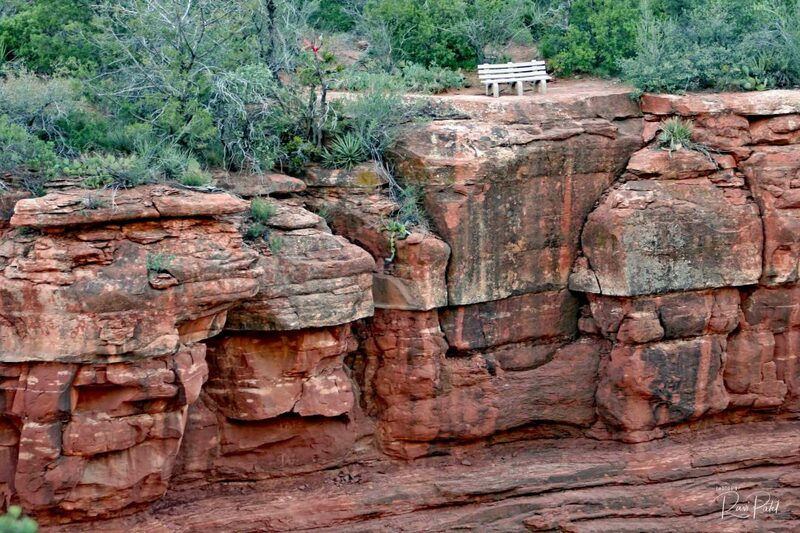 A bench to view the majestic red rock scenery and evergreen vegetation at Slide Rock State Park located in Oak Creek Canyon, seven miles north of Sedona. Redwood National and State Parks are a string of protected forests, beaches and grasslands along Northern California’s coast. 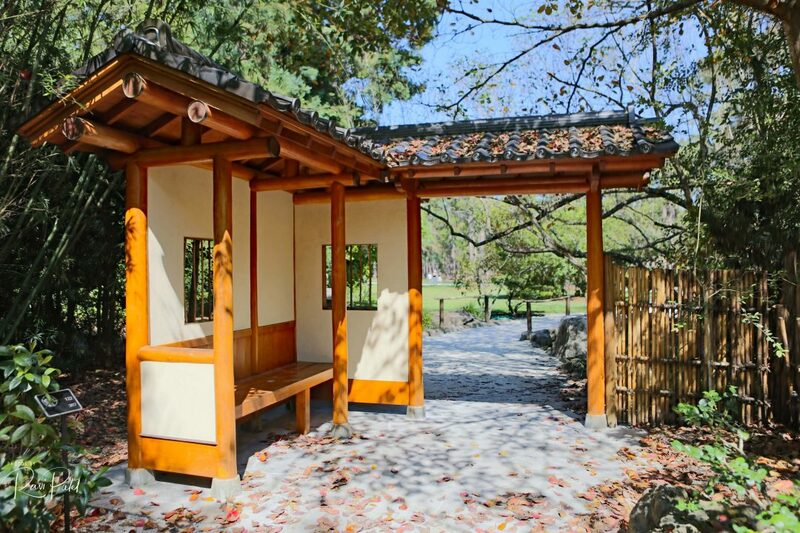 The trees in California that people call “redwoods” are actually two distinct species – giant sequoias and coastal redwoods, both of them best described in superlatives like tallest, biggest, most massive, or magnificent. 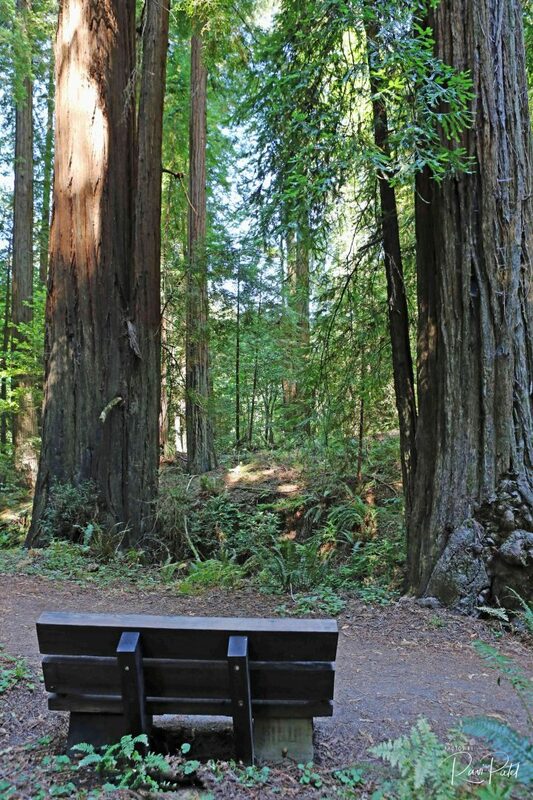 Here is a bench to view the coastal redwoods of California. Kumarakom is a popular tourism destination located near the city of Kottayam in Kerala, India, famous for its backwater tourism. It is set in the backdrop of the Vembanad Lake, the largest lake in the state of Kerala. 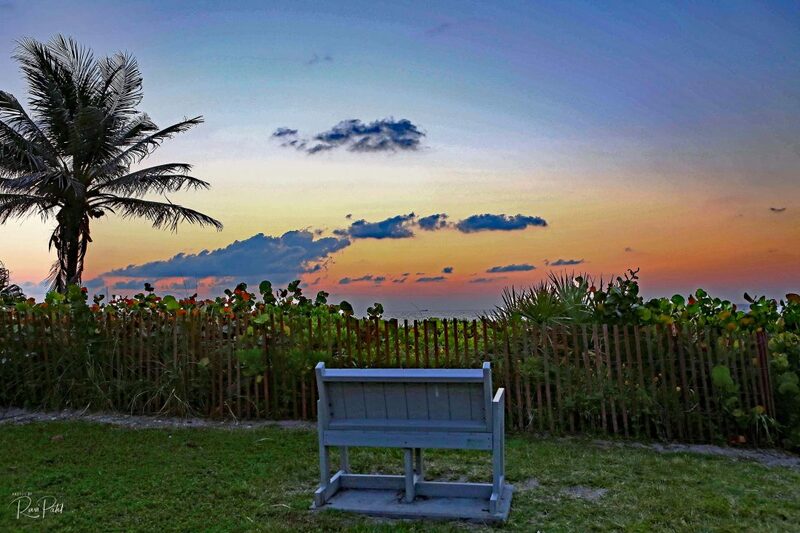 Here is a bench view of the sunset sky from one of the many resorts.